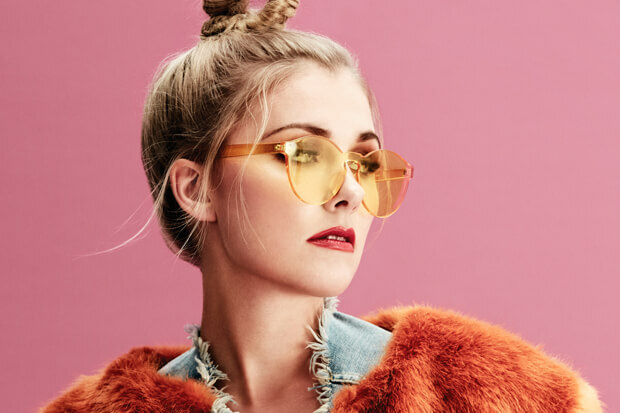 Sweden consistently churns out some of the best and brightest voices in pop music, and Clara Mae is no exception. After writing with the likes of David Guetta and Tiesto and appearing in a late incarnation of Ace of Base, the 26-year-old found breakout success on Kream’s “Taped Up Heart” in 2016. Last year she dominated streaming services with the release of her pensive “I’m Not Her,” and she maintained momentum into the new year with “I Forgot.” The bittersweet anthem is about rekindling things with an ex only to recall why you broke up in the first place. “Realized why I left you in a hurry. When I’m close to you everything is blurry. For a second I thought you loved me. For a second I forgot,” she announces over a sugary production on the earworm-worthy chorus. The diva already rolled out a neon-drenched video in which she brings the lyrics to life. Today (April 20), she is taking things one step further with the unveiling of a stripped back live performance video. Dressed in a chic coral tracksuit, Clara highlights her vocals as she performs in a cool-hued room. The new arrangement imbues the track with a sense of wistfulness. While the original production sounds like something of a kiss-off anthem, the latest interpretation highlights her second heartbreak. Well-shot and brilliantly performed, the video is a must-see. “I Forgot” is a standout release, and part of the reason is because the content is eternally relatable. Clara opened up about writing the single in a press release. “Mostly all of my lyrics stem from personal and relatable experiences. ‘I Forgot’ is definitely one of these songs – I think everyone can relate to the idea of when you see an ex for the first time after a while, and you get a rush of confusing emotions, that make you forget why you even broke up in the first place, but then something happens to make reality snap back in, and the intense moment ends.” The hard work is paying off. The single has already amassed more than 4.5 million streams on Spotify, and her new performance will only give it a boost. We are excited to premiere Clara Mae’s fantastic performance. Watch her in action below. Did you love Clara Mae’s performance? Let us know below, or by hitting us up on Facebook and Twitter!